Manxman Dan Kneen will join Jackson Racing to contest Supersport races at this year’s international road events. The Braddan-based rider will campaign the Honda CBR600RR at the Isle of Man TT, the North West 200, Ulster Grand Prix and Southern 100 with selected outings also pencilled in at some short circuit meetings. The now 30-year old joined the team at the eleventh hour at last year’s Isle of Man TT event, taking over the ride vacated by Lee Johnston and, despite never having sat on the bike until the opening night of practice week, he put in a storming ride to finish in eighth place. “I’ve always enjoyed riding in the Supersport class so I’m pleased to be riding for Jackson Racing alongside Tyco BMW in 2018. 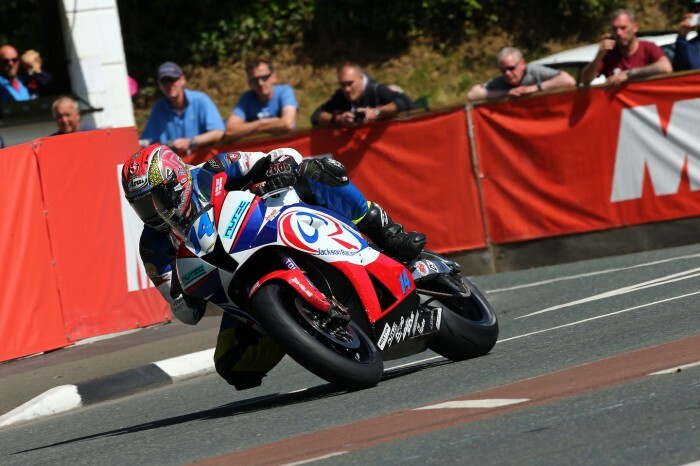 Last year’s ride at the TT was all very last minute and we didn’t get much practice time due to the weather,” said Kneen.